BY KENNETH R. CONKLIN, PH.D. — On August 28, 1963 Reverend Dr. Martin Luther King Jr. delivered his “I Have a Dream” speech from the steps of the Lincoln memorial. 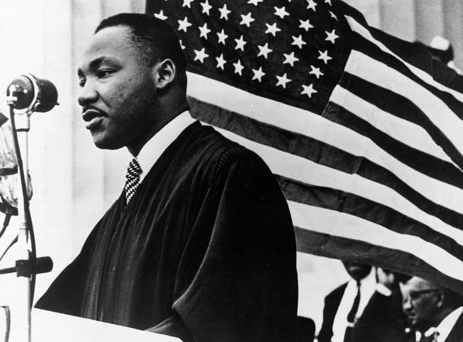 It was undoubtedly the most powerful civil rights speech of the 20th Century. How sad it is to see Dr. King’s dream for race relations in America mocked by the nightmare developing in Hawaii. Dr. King visited Hawaii a month after Statehood and gave a speech at the legislature on September 17, 1959 in which he said: “I come to you with a great deal of appreciation and great feeling of appreciation, I should say, for what has been accomplished in this beautiful setting and in this beautiful state of our Union. As I think of the struggle that we are engaged in in the South land, we look to you for inspiration and as a noble example, where you have already accomplished in the area of racial harmony and racial justice, what we are struggling to accomplish in other sections of the country, and you can never know what it means to those of us caught for the moment in the tragic and often dark midnight of man’s inhumanity to man, to come to a place where we see the glowing daybreak of freedom and dignity and racial justice.” It is significant that Dr. King and some of his fellow civil rights leaders wore Hawaiian leis in their fateful 1965 Alabama march from Selma to Montgomery, when many were severely clubbed, and bitten by police dogs. See photocopies of letters granting full-fledged diplomatic recognition to the Republic of Hawaii as the rightful successor to the Kingdom of Hawaii. A list compiled several years ago identified 856 grants totaling approximately $322,220,808 which are for Hawaiians only. History of the Hawaiian Government Reorganization bill in the 113th Congress (January 2013 through December 2014). Hawaii begins to create a state-recognized tribe — Act 195.
special interest groups here in Hawaii and the mainland have had and still have a demand for equality. not equality of rights,liberty and freedom– but equality of results.they want equal income,so we have progressive income tax.we haveequal pay for equal work,racial,ethnic,gender equality,affirmative actions,quotas,greater equality in test scores! the word "equality" doesn't appear in our Constitution, Bill of Rights,or the Federalist Papers. even Thomas Jefferson,who owned slaves all his life, wrote that all men are created equal in their God-given Rights to Life and Liberty and not equal in any other way.the government can't give us rights or equality or take them away from us.if the government tries to do these things, then we the people will lose our freedom and liberty. all Free people have natural,individual inequalities. if we try to check growth of inequality,we will sacrifice liberty,freedom,property and peace,just like in Russia in 1917. Discrimination is part of the makeup of the human race. There will ALWAYS be racial discrimination as long as humans walk this earth. There was discrimination of the Hawaiians by the haole for part of Hawaii's history and there is still some today. Back in the 50's as a young child growing up in Hawaii with a Japanese mother and a part-Hawaiian father I experienced discrimination first-hand through my mom who told me Okinawans were not Japanese. As an owner of a slipper shop, she related her experiences in her visits to Japan's slipper manufacturers, who she said were almost all of Korean ancestry because slippers were made for the feet, the lowest part of the body. When I liked a particular Japanese girl and visited her home and met the parents, I could sense the disdain in their actions. Like most Japanese parents, they preferred her to date Japanese boys. I have haole friends who I consider local like many of my other local friends. And there are many haole and part-haole families who are pillars of our community. We who were born and raised here have ALL experienced some sort of racial discrimination or slurs. That is just part of growing up here. This article appears to appeal for better treatment of haole who, if a poll were taken, have a higher average income level, go to better schools, live in better housing and enjoy a better lifestyle than the rest of the “local” population. And by “racial entitlement programs”, if Mr. Conklin is referring to Kamehameha schools helping the Hawaiian keiki, perhaps he should also compare the incomes of Hawaiians to the haole. Perhaps Mr. Conklin should devote more of his time and effort to helping the really downtrodden among us: The Pacific Islanders who face discrimination on a daily basis. I am sure Dr. Martin Luther King would have preferred that. The haole are doing just fine.